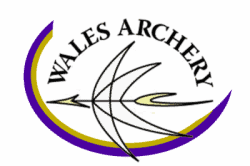 Our mission is to lead, grow and promote archery to create greater value for our sport. It’s ambitious and will take time and energy to achieve. It will also take ideas, creativity, and a collaborative approach, which is why we have created this page to ask for suggestions, feedback and ideas to support us on the journey. Each month we will be asking for your thoughts on a variety of subjects that we believe are key to our work. All we want you, our members, to do is to let us know what you think, offer your suggestions or share your experiences. At the end of each month we will let you know what the main points have been and post the next area we would like suggestions on. Recent research has told us that our members, 59% in fact, feel that there isn’t enough being done to encourage children into our sport. We’d like to hear your suggestions on how we can develop an approach that encourages young people to take up archery, develop and stay in the sport. Many schools and organisations use Arrows to introduce archery at an early age. Archery is also accessed at places like the National Trust and Centre Parcs but how can we link this and create a journey, for those interested in taking archery further, into the community of archery clubs ? Is there any appetite within archery clubs to support young people and do clubs have the capacity ? Your thoughts and suggestions are more than welcome. Volunteers are absolutely key to the sport of archery at all levels. Judges, work parties, club officials, or simply helping hands everyone plays their part. We’d like to hear your thoughts on how to encourage more volunteers and how to celebrate their contribution. Please use the contact form below to give us your thoughts, suggestions and feedback on this months topic.